So this Sunday after a boring day in Florence because of the rain that did not stopped for almost two weeks, i decide to try this new bottle of wine Nobile di Montepulciano 2010 made from Il Conventino. That from the critics must be a good wine because is collecting a lot of awards around the world. I went to the Enoteca and bought the bottle, took my bike and straight home and very curious to find out if all what they say about this wine is true or just another tourist wine just to make money. On the way home i stopped to get even some salami, ham and some aged pecorino cheese from Pienza. Here we are me and the bottle in front of each other like to gunfighters ready to shoot, but with the only difference that here is only me that has a firearm the corkscrew. I opened the bottle pour it in the glass and ready to let the wine talk to me …….. 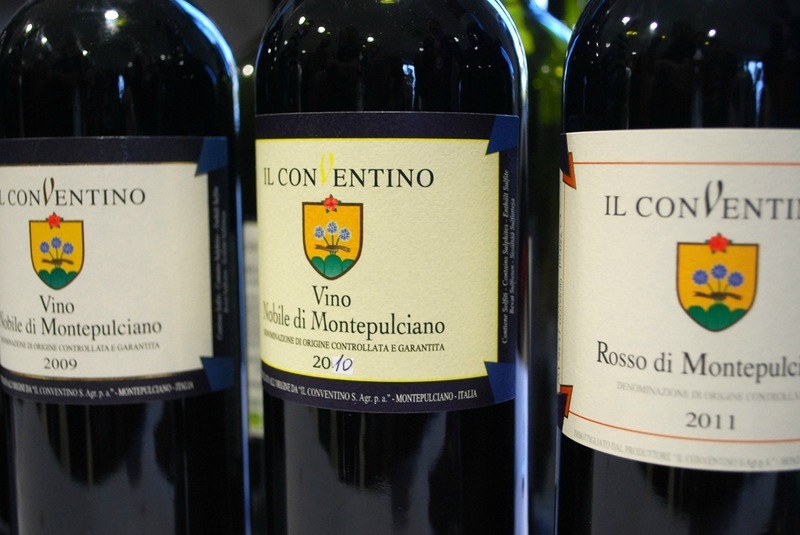 Deep ruby color , smooth tannins and very balanced, this is what makes it a great classic Tuscany wine. Is made from the blend of Prugnolo Gentile , Mammolo and Canaiolo, from Montepulciano closer to Siena. The palate delivers a core of dark cherry and raspberry flavors with white pepper and a hint of herbs. It’s elegant, with a bright, silky palate and nice length.